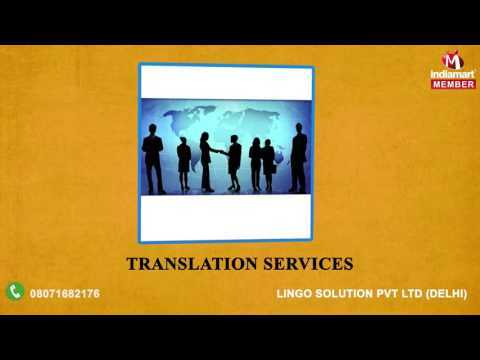 Established in the year "2010" we, "Lingo Solution Pvt Ltd" is the fastest growing Service Provider firm exploring innovation in global communication by offering best in class Translation & Transcription Services. We have gained the reputed ISO 9001:2008 certification for offering a broad range of services, which includes widely demanded Language Translation Services, Transcription Services and Language Interpretation Services. The talent and expertise of team members is widely acclaimed and we have become a partner of choice for the offered timely commitments, remarkable accuracy, strict quality supervision and competitive price.